Technology changes fast, but mobile apps change faster. Trying to keep up with all of the latest trends and fads in mobile development–this new SDK, that API–is enough to make your head spin. Fortunately, you don’t have to. Visible through all the noise, there are a few important cutting-edge tools and techniques that will shape the way users interact with their apps in the very near future. 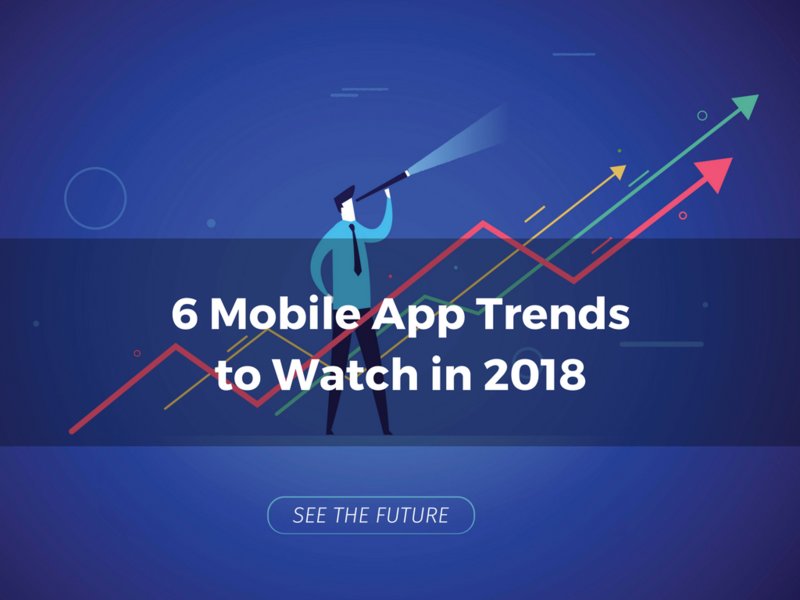 As you look forward into the new year, here’s a list of the most important mobile app trends that are set to dominate 2018. 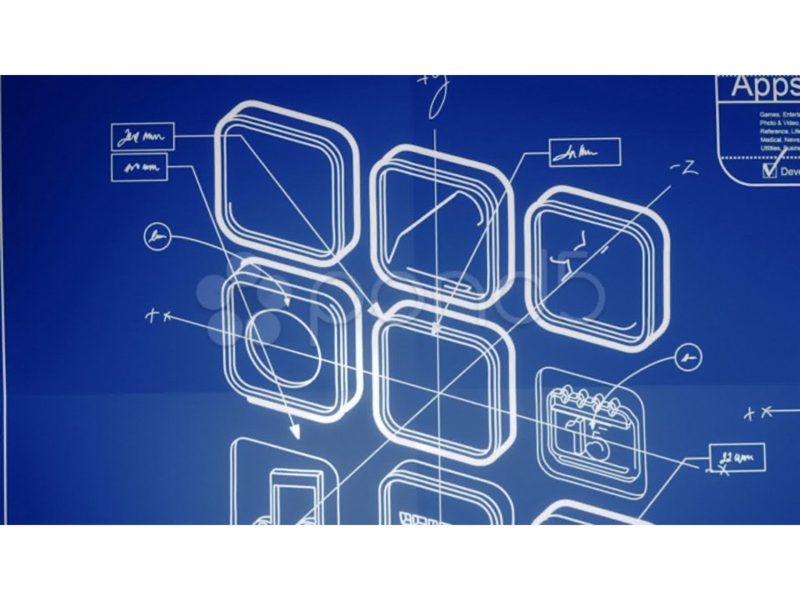 Your smartphone may soon be getting a whole lot smarter. The potential applications of AI and machine learning techniques are nearly limitless, and that’s opening up a lot more possibilities for both mobile developers and end users. “Smart” mobile apps can adjust to their users’ preferences and behavior over time. As just one example, the Gmail app can scan incoming emails and provide a set of possible messages to start a reply. Apps can also leverage AI and machine learning to process massive quantities of data and deliver business insights that no single human could come up with. One particularly fascinating use of artificial intelligence is in the creation of mobile chatbots. These AI-powered applications provide an automated interface for easy conversations and questions from human users. Perhaps the most obvious use of chatbots is in customer service. By identifying important keywords mentioned by the customer, the chatbot can figure out what the customer needs and either resolve the issue itself or redirect the customer to a human agent. IBM’s AI platform Watson, for example, now offers a Virtual Agent feature allowing businesses to build chatbot customer experiences. However, technology has advanced to the point where chatbots can be used in nearly any simple interaction: paying bills, checking movie times, or getting the latest headlines. Retailers have long known that providing a mobile app for their business is an excellent way to reach current and potential customers. One research report found that smartphone owners use shopping apps for a total of 50 minutes every month. To make the buying process as seamless as possible, a growing number of retailers are adopting digital wallets and mobile payments, which allow users to pay for their items directly without using cash or credit cards. Helping this trend is the fact that both iOS and Android phones have their own digital wallet system built into the device–Apple Pay and Android Pay, respectively. 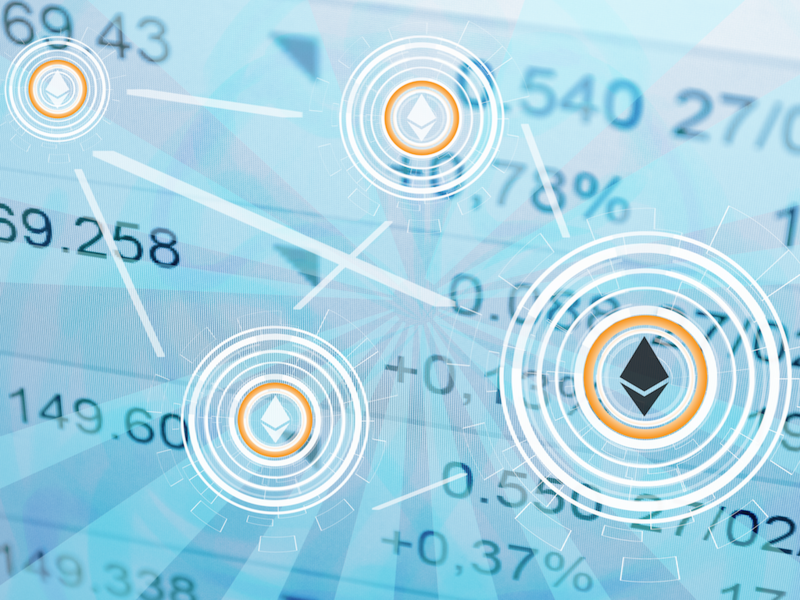 This makes it easier than ever for consumers to complete their transactions, and also makes it easier for companies to collect information on their clients’ purchases and behavior. Although they’re best known right now for gaming and entertainment (like the smash hit Pokemon Go mobile app), virtual and augmented reality are poised to hit the mainstream sooner than you’d expect. iOS 11, Apple’s most recent mobile operating system, included the ARKit framework allowing mobile developers to create AR experiences that combine real-world objects with digital overlays and one of 2017’s biggest apps, Snapchat, just released Lens Studio. Industries ranging from retail and real estate to construction and healthcare can all benefit from AR/VR technologies. For example, customers can use VR to try on clothes or view different cars in a virtual showroom. Meanwhile, companies can use AR/VR for training and education programs and designing prototypes that users can explore and interact with. 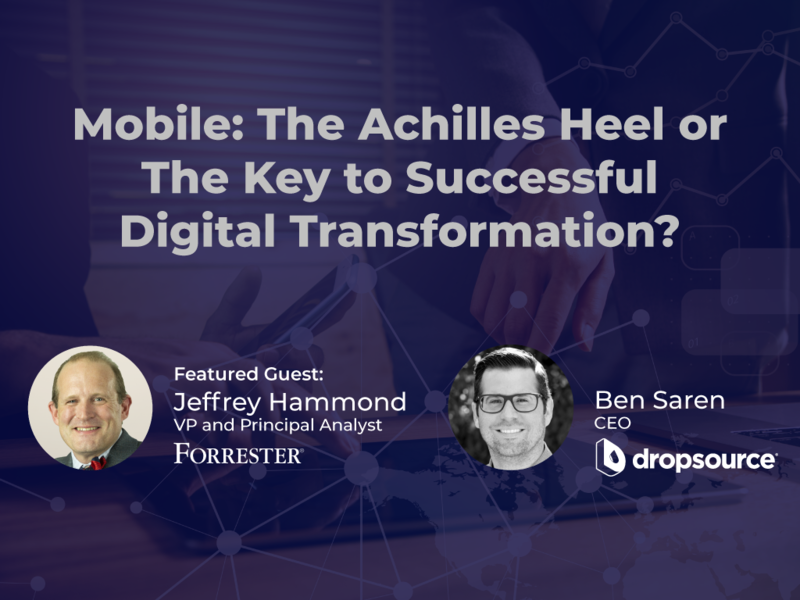 Too often, businesses seeking to enact a digital transformation of their processes and workflow fail, even though they’re aware of the major benefits that it can bring them–simply because they lack the requisite technical chops and experience. Fortunately, low-code and no-code mobile app development platforms such as Dropsource have arisen to fit this very need. Low-code platforms let companies focus less on the technical implementation and more on accomplishing their business objectives. This has enabled the rise of “citizen developers,” non-technical employees who take matters into their own hands by creating an app to address a specific business need or pain point. Hardware advances have enabled mobile computing devices to get smaller and smaller until they can fit around a person’s wrist. Companies such as Apple, Xiaomi, Fitbit, and Garmin all manufacture “smart watches” with basic mobile features such as messaging or health and fitness tracking. Excitingly, the worldwide wearables market grew by a healthy 7.3 percent in Q3 2017, and 35 percent of millennials say that they use fitness bands. One major application of wearable devices is in healthcare and medicine. For example, Apple has released a heart study app that integrates with the Apple Watch to collect information about users’ heart rhythms and find people with atrial fibrillation, a potentially fatal condition. Other devices record data about sleep health, glucose levels, and temperature, just to name a few. Fortunately, Dropsource built apps aren’t directly impacted by the new policy. Dropsource generates custom Swift for each iOS app (every app is unique) and we don’t rely on templates. Also, as part of our publishing services, Dropsource reviews all apps to make sure they are likely to meet the App Store guidelines minimum functionality requirements. In 2017, 264 million Americans used their smartphone 12 billion times per day — which means that there’s still lots of space for apps with creativity and forward thinking. With the trends above offering an exciting array of possibilities, it’s clear that the future of mobile app development in 2018 looks bright. In order to stand apart from your competitors and better serve your customers, be prepared to leverage these and other growing technologies in the months to come.